Wired sensor for gate and roller doors. Wired magnetic sensor for gates and roller doors. 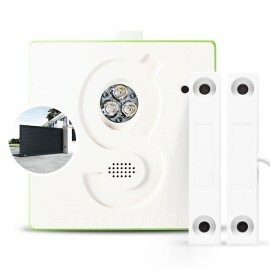 For monitoring your gate status remotely with the Gogogate2. Waterproof (ideal for outdoor use). 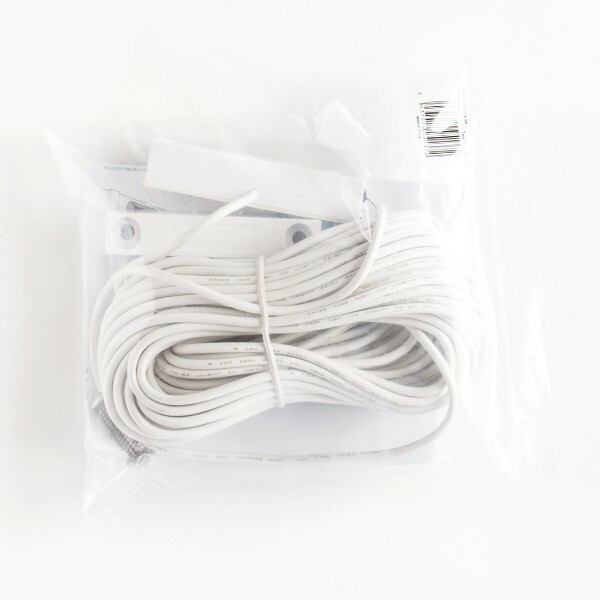 The wired sensor WDS comes with enough cable for most residential and commercial applications. This sensor does not require batteries. Ideal for gates or garage doors with lots of traffic. The wired sensor WDS can be screwed or pasted to a gate, whatever you prefer. Connection to GGG2 is via cable screwed in ports 7 to 10. 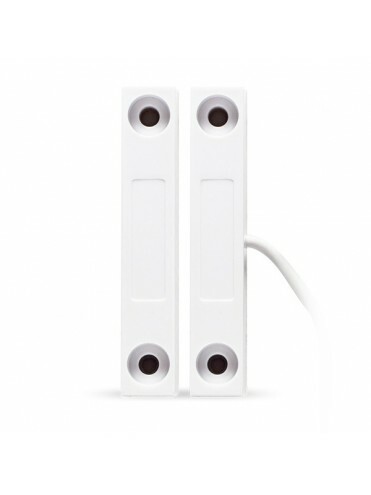 The wired sensor WDS can be used in all kinds of environments. 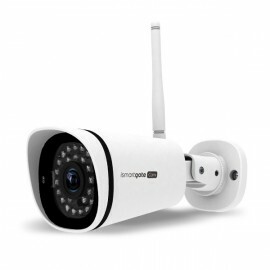 Ideal for outdoor use or areas with severe temperature changes. 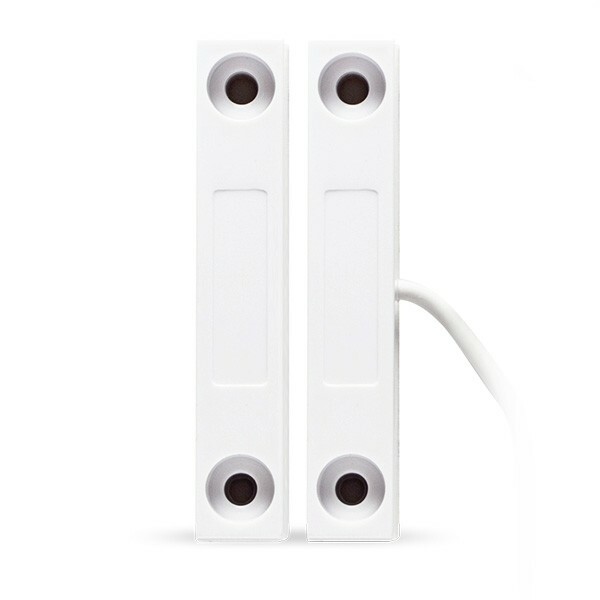 The wired sensor WDS includes a potent magnet with 2.5 inch gap to detect status on all kind of gates, no matter the conditions. Receive alerts when your door is open, closed or left open on your Smartphone or via email. Gogogate2 device required. 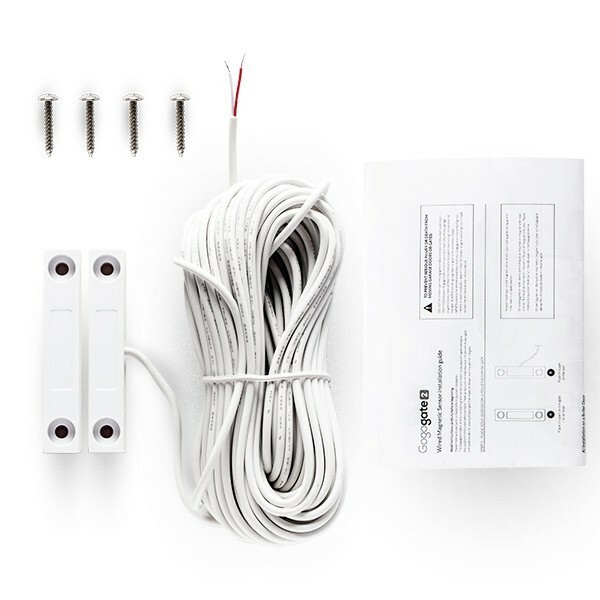 The wired sensor WDS is also recommended for use in roller doors and shutters. 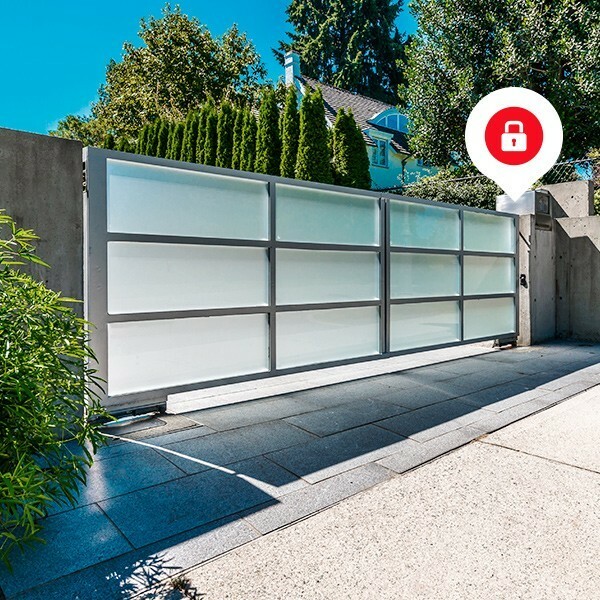 Monitor your gate from the distance and get alerts. Wi-Fi controller to remotely open and close your garage door or gate from an app on your Smartphone (iOS/Android). Sensor NOT included. To know the status of your garage door or gate we recommend to use a garage door/gate sensor.